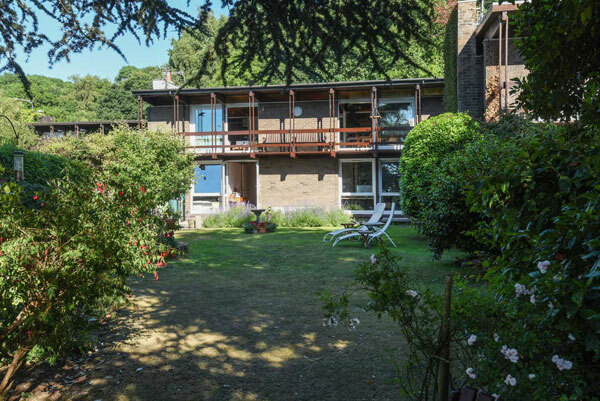 A rare opportunity to buy a 1960s Roger Dyer modernist property in Clapton in Gordano, near Bristol has arisen. 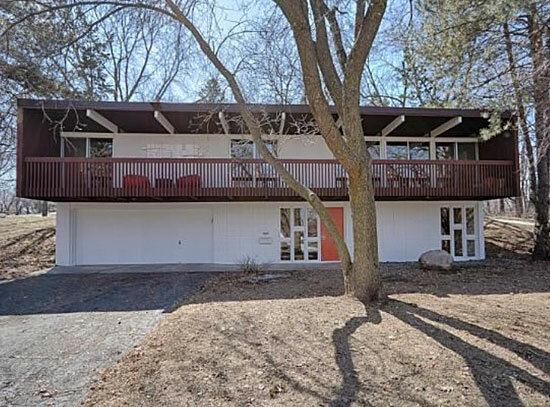 Rare because this is one of a group of modernist / midcentury modern properties, with few appearing on the market. 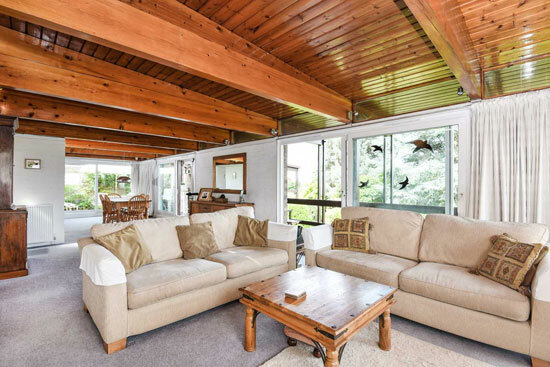 This is the first time one has been offered for sale since 2003. Saying that, we featured another interesting house in the area back in 2015. There are eight houses in total that make up Swancombe, all on a private road that is onward and managed by the residents. 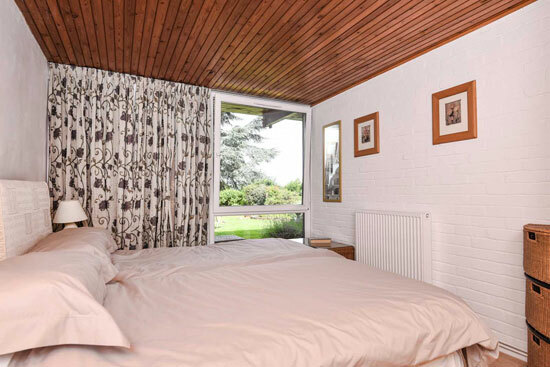 All of the houses were designed by Roger Dyer in 1967 soon after the architect returned from the US, with the agent adding that the houses take influence from the work of Frank Lloyd Wright. This one stands out because so much of its originality remains intact. 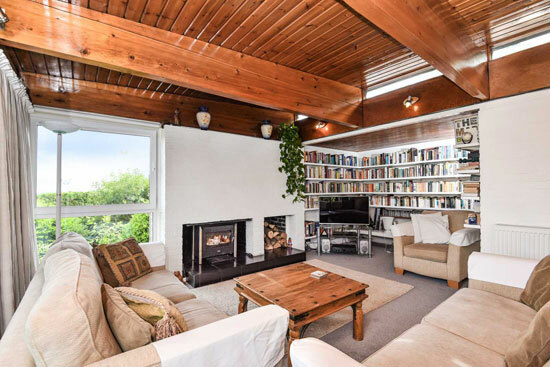 I wish I could see more outside shots of the property, but what I can see combined with the interior suggests a house that has been lovingly maintained over the years. 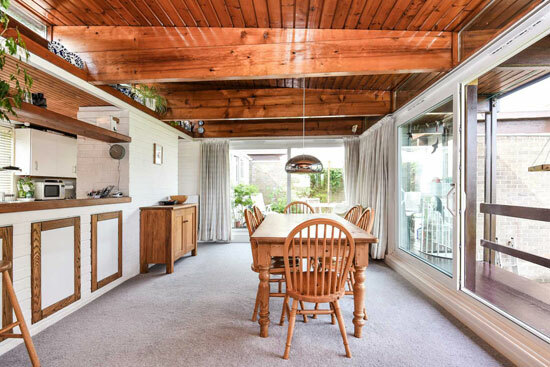 The beams inside are incredibly striking, with the open plan living, exposed brick (currently painted white), the tongue and groove ceilings and the full height glazing typical of midcentury architecture from this era. But always nice to see. In fact, outside of the bathroom, the kitchen units and some furnishings, this is pretty much as original as it gets. 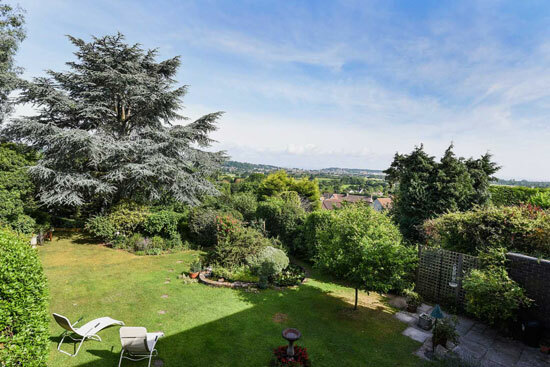 There’s also a full width balcony too, with some stunning views to take in over the gardens and towards Portishead. As for space, well that’s ‘upside down’ to take advantage of the views from the main reception area. Access to the house is via the upper ground floor, with the entrance hall accessing a study, which can double up as a fifth bedroom. The garage area is alongside it. 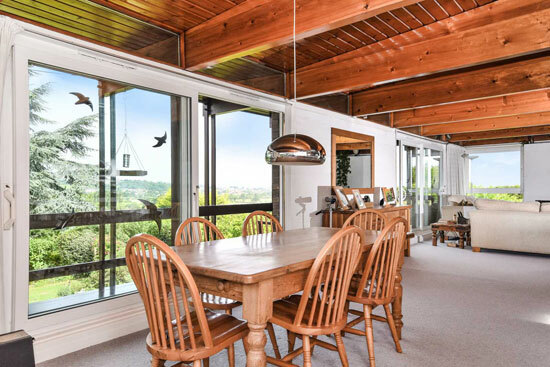 Beyond that is the 39’ open plan reception space, which takes full advantage if the surrounding views and scenery, especially if you slide open the doors and access the full width balcony. 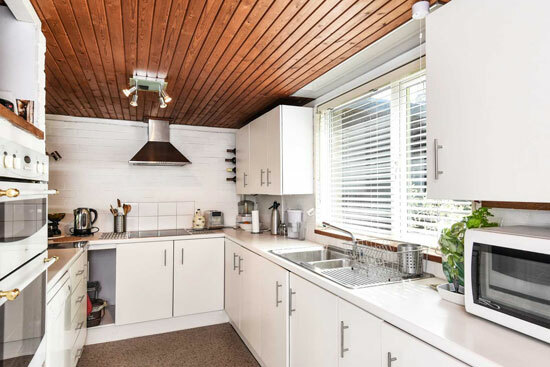 Half open to the reception is the fitted kitchen with a utility with its own side access. 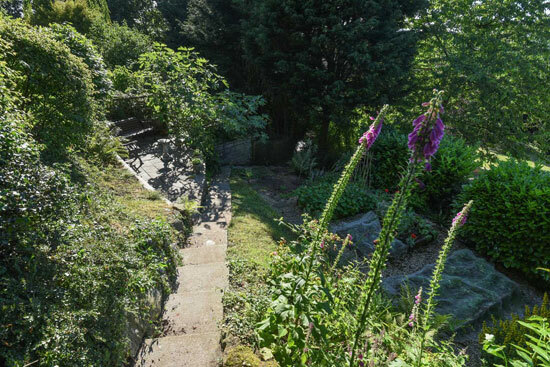 There is also separate access onto south west facing sun terrace, with spiral stairs down to the gardens. Head down to the lower floor and you will find four double bedrooms, each with its own fitted storage. 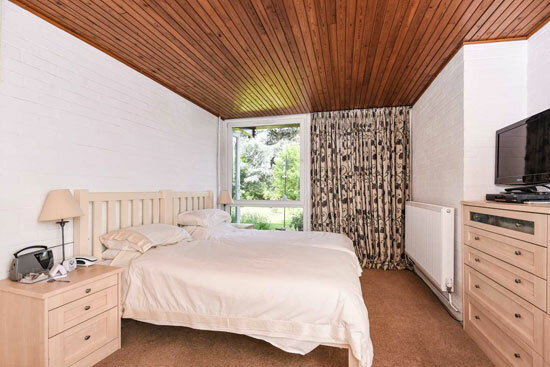 The master bedroom also has an en-suite bathroom with the remaining bedrooms sharing a family bathroom. Not that bedroom two also has a storage cupboard, with further storage in cupboards on the landing. Bedroom three access the garden via French doors. 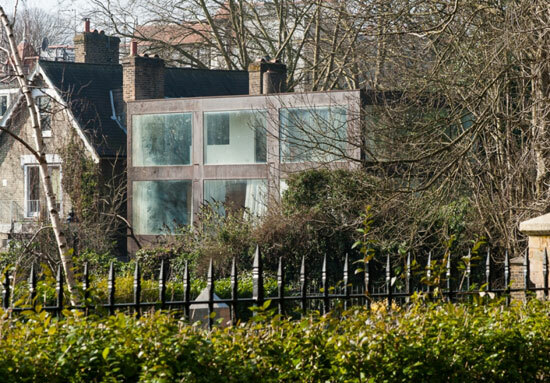 Talking of the outside space, the architect originally planned a communal tennis court and swimming pool, but this never materialised. 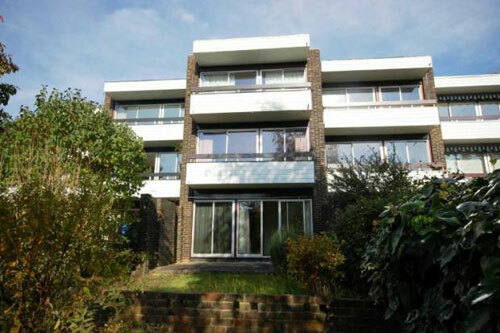 A a result, the owners have extended and landscaped their gardens instead. 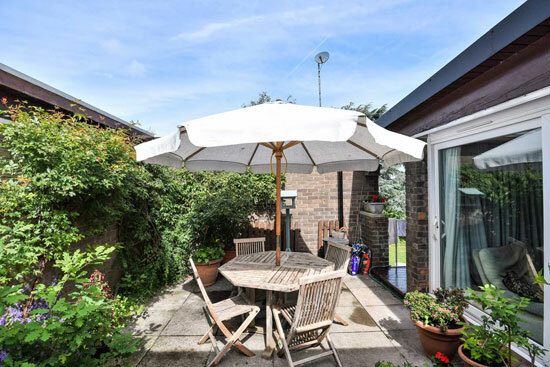 This house has a lawn, a small pond plus two smaller tiered gardens, made up of a paved sun terrace and lower terrace with vegetable and fruit beds. 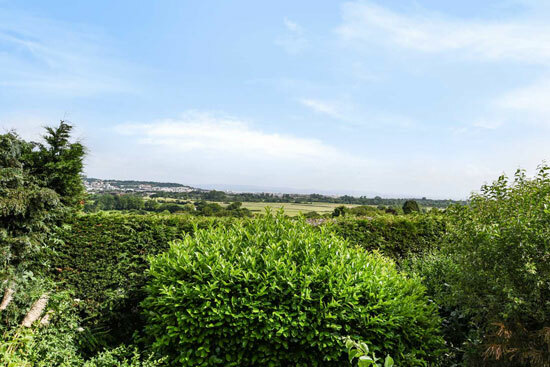 A desirable area, one that’s not too far from Clifton and Portishead, as well as popular village in its own right. Somehow I can’t see this one being on the market long. 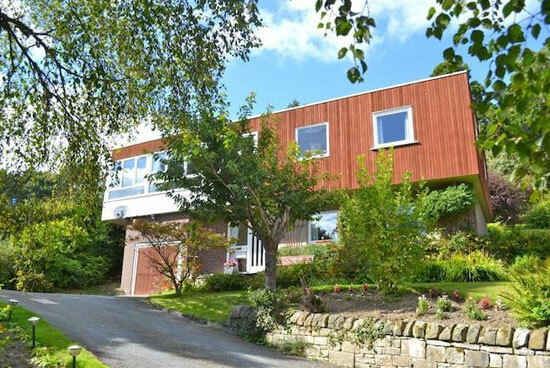 If you like the idea of moving in, the guide price is £625,000. Images and details courtesy of Rupert Oliver. For more details and to make an enquiry, please visit the website.